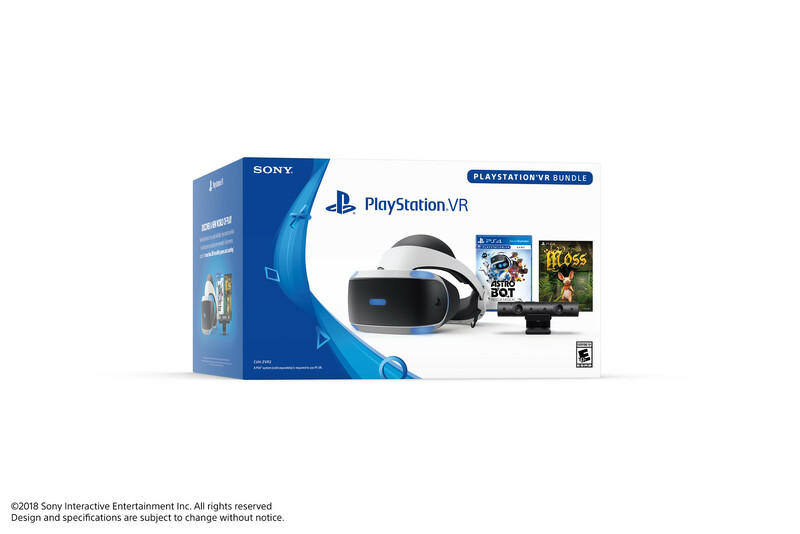 Great news for anyone interested in exploring VR gaming – today we’re announcing two new PlayStation VR bundles that will give you access to not just one, but two games that transport you to new worlds! 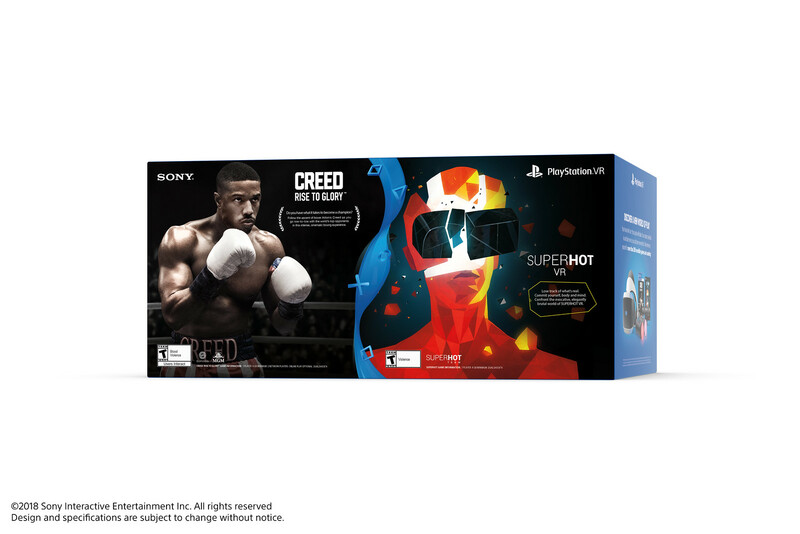 Experience the ascent of Adonis Creed from scrappy underdog to prize fighter: train with the legendary Rocky Balboa, feel yourself become stronger, and take down opponents in boxing’s most iconic rings. Phantom Melee Technology will make your avatar feel every punch, uppercut, and flurry through situational desynchronization, including fatigue, staggering, and knockouts in Creed: Rise to Glory. Or confront the evocative, elegantly brutal world of Superhot VR – a title reimagined and redesigned from the ground up for VR and hand-tracking controllers. Astro Bot Rescue Mission is a brand-new platformer, developed exclusively for PS VR, which sends you on an epic rescue mission to save fellow crew members dispersed throughout space. Run and jump in 360 degrees and experience the thrills of classic platforming re-invented for PS VR. Meanwhile, Moss is an action-adventure puzzle game that transports you to expansive environments brimming with beguiling creatures, as you embark on a journey to help a young mouse named Quill. PS VR currently has a robust portfolio of nearly 340 PS VR games and experiences worldwide and will continue to expand with new titles on the horizon, such as Blood & Truth, Déraciné, Ghost Giant, Star Child and more. Let us know which games you’ve loved or are looking forward to in the comments below! Now you need a Firewall Zero Hour bundle. I agree but I see why they aren’t doing it. That game is best experienced with an Aim controller so just throwing FIrewall in with the VR headset wouldn’t be ideal. Give us some big titles on the VR. Everything short of Res Evil and Skyrim has been lack-luster or aimed at children. I let my kid have mine as YouTube was the only thing I used mine for. She plays the rec room and thats about it. Dust collector. Oh and one more… Sparc. Nobody’s fault but your own. Yeah, you can’t critique the company and at the same time show how unaware you are of the library with comments like these @ninjalo502. The Persistence was literally voted best new game of July right here on the very blog that you’re writing this. Not to mention Firewall Zero Hour has been setting the community on fire for the past week. Then maybe you could check out Electronauts, Wipeout Omega Collection, Moss, Sprint Vector, Knockout League and the other games you’ve missed while you’ve been ignoring the platform on a judgement you made last year, and then get ready for this holiday’s incredible lineup of Creed:Rise to Glory, Astrobot Rescue Mission, Beat Saber, Tetris Effect and Blood and Truth. Obviously PSVR is not for you. Which is strange because you clicked on the article and posted. So that means you must care some what. So why don’t you care enough to try Moss, Raw Data, Light Tracer, Torn, Mortal Blitz, Apex Contructor, Far Point, Job Simulator, Skyrim VR, DOOM VFR, or Firewall? All of these games and I am sure I am missing many are very good and immersive games. Lol, while I agree with all the games these responses to you list, they don’t seem to process that you said big titles like RE7 and Skyrim. Some people won’t be as interested in these smaller titles and will want to play the same AAA games they play on console, just in VR. It’s pure fact that all these other games listed aren’t on the same level. That’s not a dis to the games, but just high praise for RE7 and Skyrim. Racers are probably the only games that could arguably be fuller games in VR. Wipeout Omega is a good example they listed. I have it and it’s definitely a lot of fun, but I wouldn’t compare it to Skyrim and RE7, multi game compilation or no. It’s too bad Fallout 4 hasn’t made it to PSVR. That Firewall Zero Hour game does look good though. I recommend keeping an eye out for sales on VR games on PS store. They get pretty damn cheap so you might find a price you are willing to pay for a smaller experience, and hell might as well justify your purchase. They may not last long, but they might be a lot of fun while they do. PSVR has amazing games, but I’d like to see hardware improvements. Ideally, Sony should make a standalone VR-only system that doesn’t require an extra console. As cool as that would be, it would be way too expensive. PSVR is the fastest selling HMD and even that is moving slow. To get a wireless HMD with the same quality is costly enough, but then to make that the entire console, we are looking at maybe five times the price, maybe more. Too early for it to be a good move, though again would be awesome. Maybe when VR hits mainstream. Personally I just hope PSVR2 is wireless to PS5, and offers significantly improved visuals and tracking of HMD and newer controller options. We will have PS5 anyway, so I figure why not let it be used to improve our wireless VR HMD’s visuals? As long as it’s wireless it’s almost like PS5 is not even there, aside from being unable to take it places without the console. At the end of the day visuals are too behind and I just want better visuals that no standalone HMD could offer at any price I’m willing to pay. These are pretty cool bundles! I think the choice of games to include with the each bundle (with or without Move controllers) is pretty smart, and nicely matched towards mature or younger gamers. Good stuff! Very nice bundles with some amazing games. These will most definitely sell. If your on the fence then jump into PSVR it’s absolutely amazing!! Great bundles here. SuperHot is one of the best games on the platform and Creed is looking good so far. Likewise, Moss is another one of the best games and Astro Bot should turn out to be another based on the levels from The Playroom VR. Great bundles! I assume both contain the v2 headset CUH-ZVR2? I’m so glad they updated the headset bundles with new upcoming games and with current popular games. Maybe there will be a wipeout / GT Sport combo next? Hope Sony gets the numbers up for total heads sold, 5 million could be possible. In terms of future VR games, I’ve always been drawn by Sony’s story-driven narratives in their exclusive content and would encourage an immersive experience in VR of that caliber in the future. Obvious highlights would be RE7, Doom VR, Persistence for me, and honorable mentions being Farpoint and Megaton Rainfall. The latter I would love to see again with a big(ger) budget attached to a licensed superhero (or original one). That would be an unmatched experience with the right additional in-game content/variety and polish. I’d also like better/longer renditions of Mortal Blitz or Archangel (under a new IP if need be), but I’d appreciate more innovative and robust puzzle games like “I expect you to die”, Accounting+, etc (which are very short now) or something “Portal-esque” in the future. I’ve seen trailers for Sprint Vector and Football Nation VR and encourage testing the waters with more sports simulators. In the immediate future, looking forward to Beat Saber and StarChild on the VR. 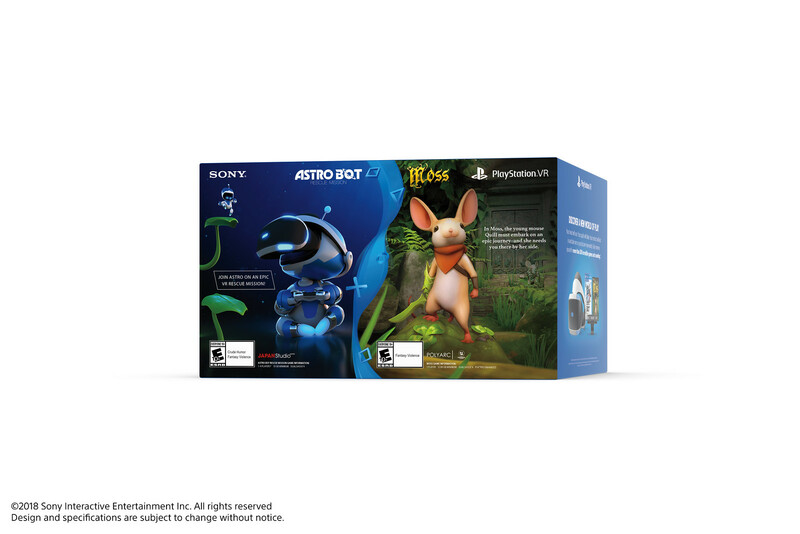 PS – Looking forward to the Moss/Astro Bot Rescue bundle. It was designed to be fully functional with the PlayStation 4 home video game console. In certain games and demos for the VR, the player wearing the headset acts separately from other players without the headset. The PlayStation VR system can output a picture to both the PlayStation VR headset and a television simultaneously, with the television either mirroring the picture displayed on the headset, or displaying a separate image for competitive or cooperative gameplay. 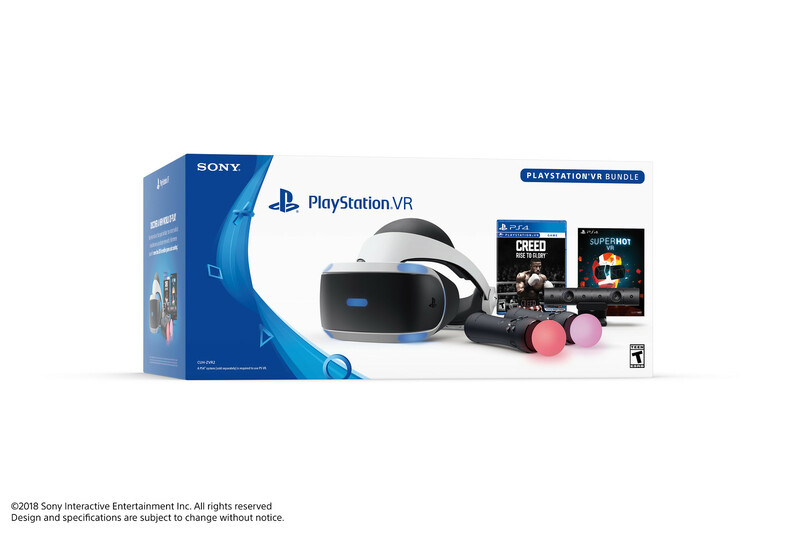 PlayStation VR works with either the standard DualShock 4 controller or the PlayStation Move controllers. Does it come to Eroupe? Sony talk to Capcom about releasing time crisis on VR it will sell like crazy! Get rid of the wires and need to be tethered to your console and I’d be more interested. Until then…..I’ll wait for the next generation of VR headsets. Cannot wait for the 2nd generation psvrs! right playing by urself not fun. i have to wait to tag in my friends that come over we have to take turns no fun gaing.